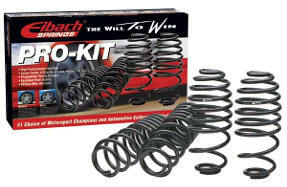 Dodge Viper 1996-2002 Coupe or 1997-2002 Convertible - Eibach Pro Kit Lowering Springs. The Pro-Kit is the perfect answer for most frequently-driven street cars. It�s our legendary spring system that dramatically improves both a vehicle�s performance and appearance. Pro-Kit lowers your car�s center of gravity, reducing squat during acceleration, body roll in corners and excessive nose-dive under braking. When combined with Plus-1 or Plus-2 wheels and tires, the Pro-Kit is the finishing touch to a winning recipe for performance. Pro-Kit also reduces excessive fender-well clearance, making your car look just as hot as it performs. Every Pro-Kit is designed and tested by our suspension engineers and performance driving professionals, to deliver aggressive good looks and high performance handling, without ever compromising safety or ride quality. By using our proprietary, progressive spring design, Pro-Kit provides the ultimate balance to take your passion for driving to a whole new level. 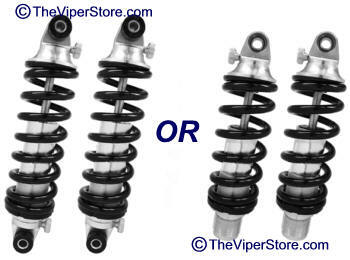 Lowering Springs fit 1996-2002 Dodge Vipers. Note: A four wheel alignment is required after lowering any vehicle. Polyurethane Front Control Arm Bushings on the front of vehicles, they make a dramatic improvement in the way they handle with quicker steering response and greater vehicle control. Polyurethane Rear Control Arm Bushings on the front of vehicles, they make a dramatic improvement in the way they handle with quicker steering response and greater vehicle control. 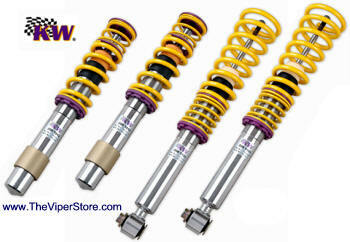 Each KW Coilover Shock is engineered and pre-set from the factory for race-ready handling on your year, make and model. But, that's not all. You can make micro-adjustments to the ride height at each wheel. Lift and lower both the front rear and rear of your auto to match your performance needs. 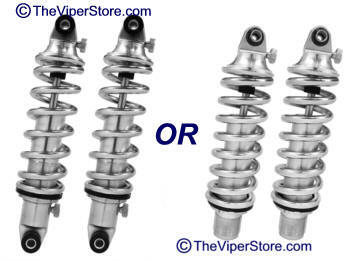 Get the Stage 2 or Stage 3 series, and you can also adjust the shock's rebound and compression.